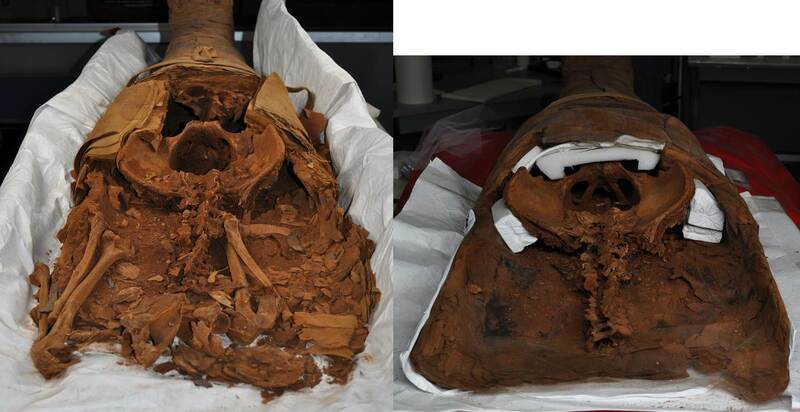 PUM I, our Third Intermediate Period mummy who was autopsied back in 1972, is back together again! When he came into the lab, we didn’t realize how much he had been cut apart, and the extent to which his remains and linen wrappings had deteriorated. 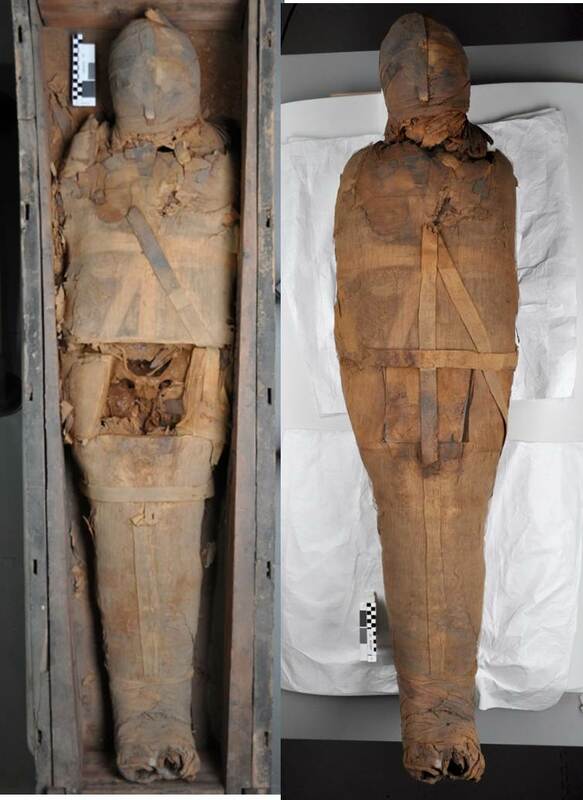 We have spent a lot of time examining this mummy, researching his history including his autopsy, cleaning the deteriorated linen and human remains, identifying and inventorying the remains (thanks to Penn undergraduate Christine Lugrine), and conserving the linen wrappings. The conservation work on his remains is nearly complete, and he will soon leave the Artifact Lab. Come visit the lab for one last glimpse, and check out the before and after photos below. 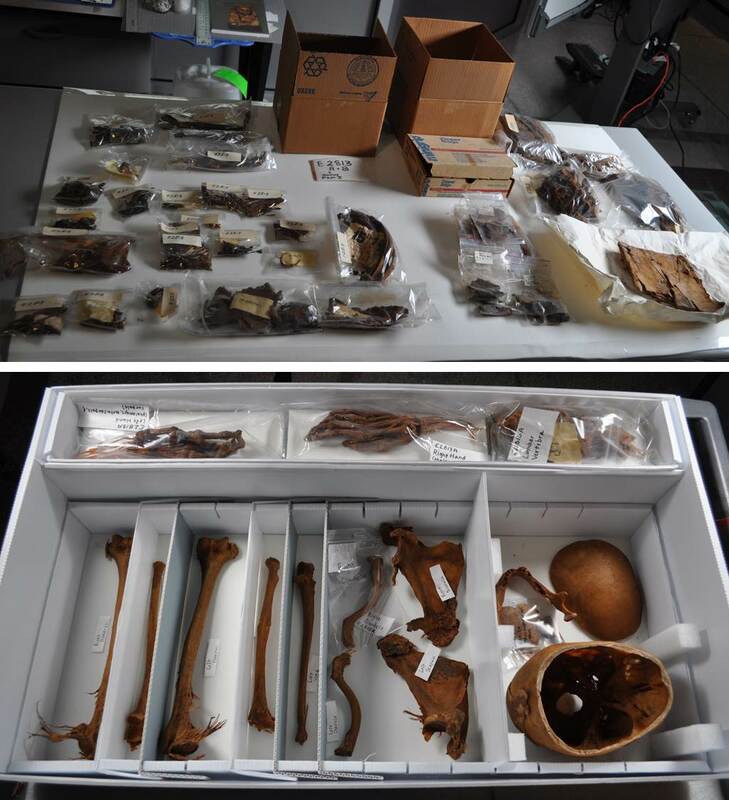 This entry was posted in conservation treatment, examination, Mummies, Objects In the Artifact Lab, textiles and tagged autopsy, human remains, mummy, osteology box, PUM I by mollygleeson. Bookmark the permalink.